The English Teacher is not your typical comedy where we go from one funny scene to another. It does provide laughs but more focus is given on the deeper themes that are subtle and a little hidden. Our main character Linda Sinclair (played by Julianne Moore) is a teacher who is very passionate about her job and books. Especially the romantic novels. She is so passionate about them that it gives her a warped sense of what real romance and love should entail. While she is clearly an educated person it gives her a naivety that make it hard for her to connect to real people. But at the same time it gives her a drive to motivate her students to get the best out of themselves as much as possible. When Linda Sinclair meets an ex student who feels he has failed as a writer she tries to help him realize he has not. Most of the film is about her attempts to do this. Now Linda Sinclair, thankfully is human and makes mistakes. Now I personally did not think that these mistakes were as earth shattering as made out to be. It is very debatable even if they were immoral. Could she had prevented them? Yes, she could have. Only if I had to make her case for her. She was caught up in her passions and acted on them. It can happen to the best of us. Still Linda does get chastised for them on a incredible high level and isolate her further than she already was. And here is where the tragedy comes in. The one person who believed to dream and help other people dream gets punished so severely that she gets cast out. I couldn't help but admire her goodness even if she could have handled some things better. She stood by and prevailed. However she does not get the credit for it. Worse others steal the credit and honour she should be getting. Linda Sinclair is above all that. She has learned a valuable lesson and gets her own reward. 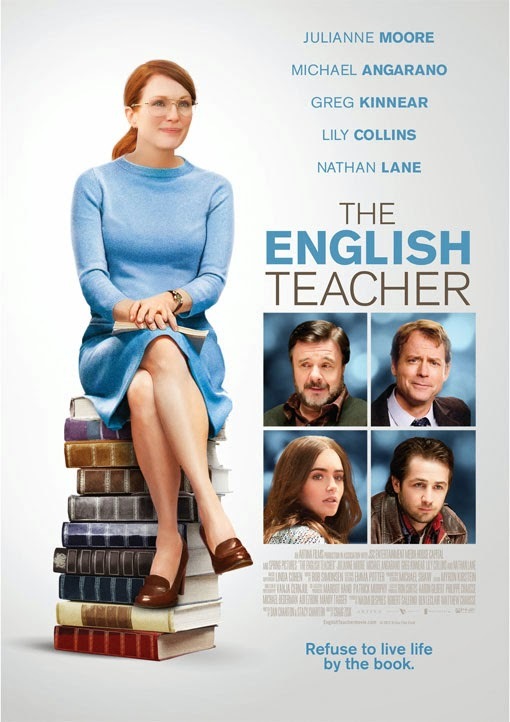 In my opinion The English Teacher has a lot of heart, in large part because of Julianne Moore. She brings a vulnerability and strength in a role that makes her a believable and real character. So while some people might be disappointed not getting the laughs they wanted. The viewer will be getting a film where a character goes through a psychological journey that is easy to relate to and makes you feel good at the end. One to watch for sure. Good, I hope you like it.